Can I Ask the Judge for Additional Damages If I Disagree with the Jury’s Verdict? 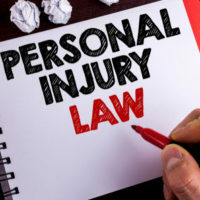 Although personal injury cases are typically decided by a jury in Tennessee, there are situations where jurors award too little in damages to fully compensate the victim. In such cases the trial judge has the authority, at least under state law, to either order a new trial or increase the amount of the jury’s award through a legal process known as additur. While there is no hard-and-fast rule on how much the judge can add to the award, additur may be overturned on appeal if a higher court determines that it effectively “destroyed” the jury’s verdict. On June 7, the Tennessee Court of Appeals ordered a new trial in a medical malpractice case after making just such a determination. The underlying lawsuit arose from the tragic November 2012 death of a man in Tullahoma, Tennessee. The victim was admitted to the hospital–the defendant in this lawsuit–and received treatment for kidney stones. As part of the treatment, the victim was placed on a patient-controlled morphine pump. A hospital nurse instructed the victim’s wife–the plaintiff here–on how to use the pump so she could administer morphine while her husband slept. The next morning, the plaintiff saw her husband was no longer breathing. Hospital staff responded, but it was too late. The victim sustained a brain injury and passed away a few days later. The plaintiff sued the defendant for wrongful death and negligence. She sought damages for the victim’s medical expenses, the pecuniary value of his life, and the plaintiff’s own loss of consortium. In response, the defendant alleged the plaintiff was at least partially responsible for her husband’s death due to her “administration” of the morphine pump during the night preceding his brain injury. A jury ultimately decided the defendant was 51 percent liable for the victim’s death. It then calculated damages at $300,000, which was solely attributed to the victim’s “loss of earning capacity.” The jury awarded zero damages for the plaintiff’s loss of consortium. The plaintiff moved for a new trial or additur. The trial judge granted the latter. She decided the plaintiff was entitled to over $1.3 million in damages, which included $300,000 for her loss of consortium. The defendant accepted the additur under protest and appealed. The Court of Appeals said the trial judge acted within her discretion to make an additur. But it also held the amount of the additur–over $1 million–was so great as to “totally destroy” the jury’s original verdict. Under the circumstances, the appeals court said it was best to retry the entire case. Juries do not always have the last word when it comes to personal injury claims. This is why it is so important to work with an experienced Knoxville personal injury lawyer who can guide your case from the initial investigation all the way through the appeals process. If you or a loved one have been injured by third-party negligence, contact the offices of Fox & Farley, Attorneys at Law.